Laser lipo is an FDA-approved treatment that helps your body get rid of small areas of unwanted fat. The noninvasive treatment uses low levels of laser energy to target fat cells under your skin that causes the cells to break down. Your body then gets rid of the fat cells naturally through normal body processes. As a noninvasive procedure, laser lipo is considered safer than traditional liposuction. Venus Treatments laser lipo isn’t meant to serve as a tool for weight loss, but rather to help sculpt your body into your ideal shape after you’ve lost the weight. Dr. Tran conducts a thorough examination to see if you’re a good candidate for treatment. If you’re not quite where you want to be with your weight, Dr. Tran also offers assistance with weight loss and has partnered with BodEN Fitness to assist in the process. BodEN Fitness provides healthy, balanced meals and an exercise program that fits your fitness level. Laser lipo treatment takes 15-30 minutes, so you can easily schedule your appointment during your lunch break. During treatment, as the laser wand targets your fat cells, you may feel a warming sensation, but no pain. If the laser treatment is too hot, Dr. Tran can adjust the temperature so it’s more comfortable for you. For best results, you may need up to eight treatments. Dr. Tran develops your customized treatment plan before you get started so you know what to expect. How can I maintain the results of laser lipo? Once the fat cells have been destroyed by laser lipo, they don’t come back, but that doesn’t mean you can eat whatever you want and skip the gym. To maintain your newly sculpted body, Dr. Tran recommends you continue your healthy diet plan and exercise routine. 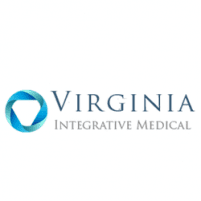 To see if laser lipo is right for you, call Virginia Integrative Medical to schedule a consultation or use the online booking button. Also, be sure to check out this great video about VenusVersa below.